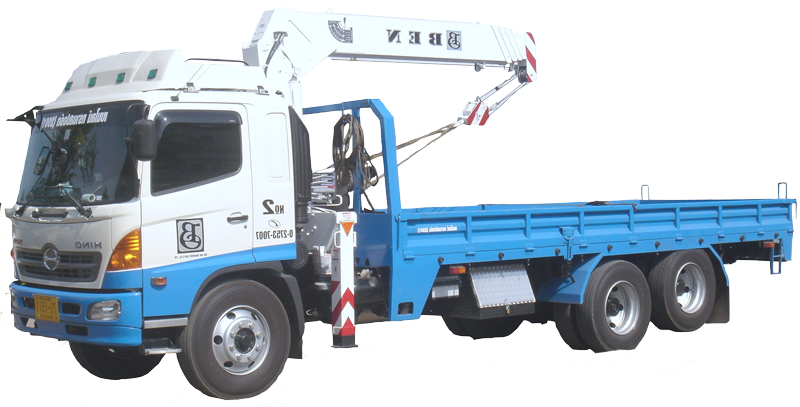 Cranes - BENLINE TRANSPORT CO.,LTD. Metal sheet, aluminum sheet, concrete bucket, and mounted basket for rental. On-site inspection with specialized team. Cargo side and rear lids can be fold-down to increase cargo space. Transport anything from cargo container to silo. We have the right equipments and vehicles for the right job . 3 x 7 – 3 x 9 m.